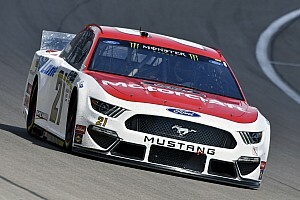 Logano easily held off Penske teammate Ryan Blaney with Ryan Newman ending up in third, Keselowski fourth and Kyle Busch in fifth. Also collecting stage points were Kurt Busch, Chris Buescher, Clint Bowyer, Austin Dillon and Daniel Suarez. Following the break between Stages 1 and 2, Keselowski was the first off pit road and took over the race lead when the race returned to green on Lap 136. Logano was second, Jimmie Johnson third and Kyle Busch fourth. On Lap 145, Logano got around Keselowski off Turn 4 to take the lead for the first time in the race. 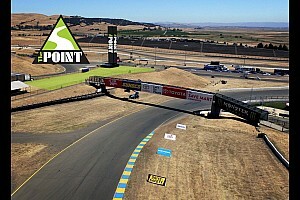 With 90 laps remaining in the second stage, Logano had built a 1.5-second lead over Keselowski followed by Kyle Busch, Martin Truex Jr. and Blaney. With just under 50 laps to go in the stage, Logano continued to hold a more than 1-second lead over Keselowski. Chase Elliott, who started on the pole, was in front of Logano trying not to go a lap down. Elliott finally went a lap down on Lap 209. On Lap 212, Matt Tifft spun in Turn 1 after what appeared to be contact from Elliott to bring out a caution. All of the lead-lap cars elected to pit and Logano was the first off pit road. On the restart on Lap 220, Logano was followed by Keselowski, Kyle Busch and Truex. Truex quickly moved up to the runner-up position after the restart as Keselowski dropped back. In three laps, Keselowski had fallen to back to sixth. 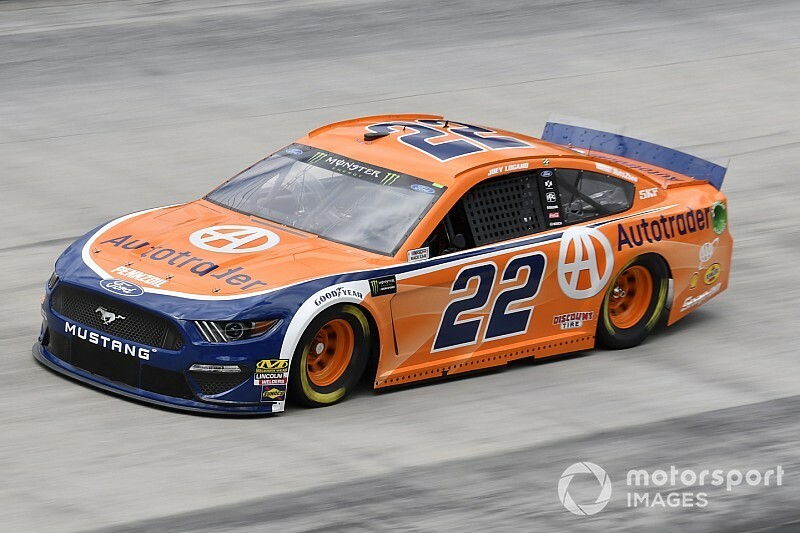 With 20 laps to go in the second stage, Logano maintained a small lead over Truex followed by Blaney and Newman. On Lap 238, Blaney passed Truex and moved into the second position. With two laps left in the stage, Truex dropped down to pit road with an apparent loose wheel.